Colorado is located in the western United States, or the "Mountain Region". This is a list of people from the American state of Colorado. It includes people that lived, were born, were raised, or have significant relations with the state. Coloradans have been prominent in many fields, including literature, entertainment, art, music, politics, and business. This list attempts to maintain biographical notability of significant Coloradans, and to organize historically important men and women hailing from Colorado. Ronald Kiefel (Lives in wheat ridge, Born in boulder) Bronze medal Olympic winner for Road cycling. Raced in tour de France 7 times. Co-owner of wheat ridge cyclery. Dan Fogelberg – folk/soft rock/pop singer, songwriter, multi-instrumentalist. In the 1970s, moved to Nederland, recorded material for Nether Lands and some later albums at nearby Caribou Ranch. A decade or so later, after continued commercial success, Fogelberg bought a ranch in the Pagosa Springs area, where he built his own recording studio, Mountain Bird Studio. Chuck E. Weiss (grew up in Denver) – musician and subject of the 1979 Rickie Lee Jones song "Chuck E.'s in Love"
Paul Whiteman (born in Denver) – considered by some the "King of Jazz"; after selling two million records with the song "The Japanese Sandman", Whiteman added to his fame by being one of the first nationally broadcast jazz musicians; remembered for his ability to fuse jazz and classical in hits like Rhapsody in Blue and "Whispering"
^ Tim Allen (I) – Awards. ^ "Supergirl" – via www.imdb.com. ^ Don Cheadle – Awards. ^ Douglas Fairbanks – Awards. ^ Trey Parker (I) – Awards. ^ Filmbug. "Antoinette Perry". Retrieved June 2, 2006. ^ Vera List Center for Art and Politics. "Robert Adams". Retrieved June 2, 2006. ^ a b Colorado Springs Fine Arts Center. ^ John Carlson – Artist, Art – John Fabian Carlson. ^ "William Henry Jackson Photograph and Art Work Collection". Brigham Young University. Archived from the original on May 5, 2006. Retrieved June 2, 2006. ^ Mary Bellis. "Rodeo Innovations – Earl Bascom". Retrieved June 2, 2006. ^ International Boxing Hall of Fame. 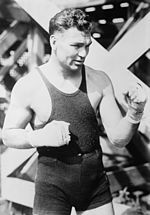 "Jack Dempsey". Archived from the original on April 9, 2006. Retrieved June 2, 2006. ^ PBS. "William Bent". Retrieved June 2, 2006. ^ Rob Levine. "Castle Rock Foundation". Retrieved June 2, 2006. ^ The American Civil War. "William J. Palmer – A Biographical Sketch". Retrieved June 2, 2006. ^ Colorado State Archives. "Colorado State Archives: Lieutenant Governors". Retrieved June 2, 2006. ^ "ESPNRadio: Shows, Podcasts, Stations, Live Streaming - ESPN". ESPN.com. ^ National Underwater and Marine Agency. "Clive Cussler". Archived from the original on June 13, 2006. Retrieved June 2, 2006. ^ Department of English, University of Illinois at Urbana–Champaign. "Allen Ginsberg's Life". Retrieved June 2, 2006. ^ Colorado Women's Hall of Fame. "Helen Hunt Jackson". Retrieved June 2, 2006. ^ Liukkonen, Petri. "Dalton Trumbo". Books and Writers (kirjasto.sci.fi). Finland: Kuusankoski Public Library. Archived from the original on October 24, 2014. ^ MorriconeRocks (May 23, 2008). "THE ASTRONAUTS -"Baja" (1963)" – via YouTube. ^ Brown, G. Colorado Rocks! : A Half-Century of Music in Colorado. p. 1,959. Retrieved April 22, 2011. ^ a b c d e Solomon, Jon (November 21, 2017). "Colorado Music Hall of Fame Honors East High School". westword.com. ^ Alternative Tentacles – Bands. ^ MTV Networks. "Big Head Todd & the Monsters". Retrieved June 2, 2006. ^ Marin Alsop. "CSO more important to community than ever". Archived from the original on May 11, 2006. Retrieved June 2, 2006. ^ Epinions, Incorporated. 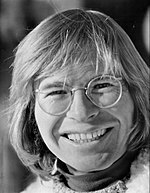 "Thank God I'm a Country Boy – John Denver". Retrieved June 2, 2006. ^ Flobots.org. "About Flobots.org". Retrieved October 12, 2009. ^ "Dan Fogelberg dies at age 56". denverpost.com. December 16, 2007. ^ University of Colorado Boulder. "And the Grammy Goes to ... CU-Boulder's Glenn Miller". Archived from the original on June 17, 2006. Retrieved June 2, 2006. ^ Answers.com. "Paul Whiteman". Retrieved June 2, 2006. ^ Yonder Mountain String Band biography. "?". Retrieved August 2, 2006. ^ Fox Network. "Ace Young". Archived from the original on May 28, 2006. Retrieved June 2, 2006. ^ "Irving Howbert". findagrave.com. Retrieved January 19, 2014. ^ John Kerry. "Biography". Archived from the original on June 1, 2006. Retrieved June 2, 2006. ^ Colorado State Capitol. "Colorado State Capitol Virtual Tour". Retrieved June 2, 2006. ^ University of Colorado Boulder. "CU-Boulder Chancellor, President, Law School Dean Laud Scholar-Athlete Byron White". Retrieved June 2, 2006. 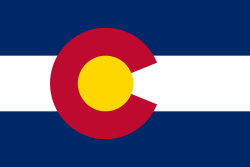 Wikimedia Commons has media related to People of Colorado. This page was last edited on 13 April 2019, at 17:35 (UTC).